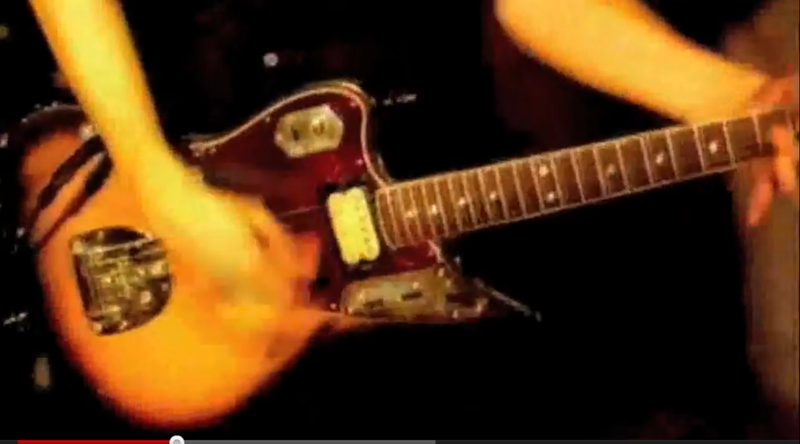 Kurt Cobain used this left-handed 1965 Fender Jaguar in the Nirvana’s video for “Lithium” and live on many occasision. 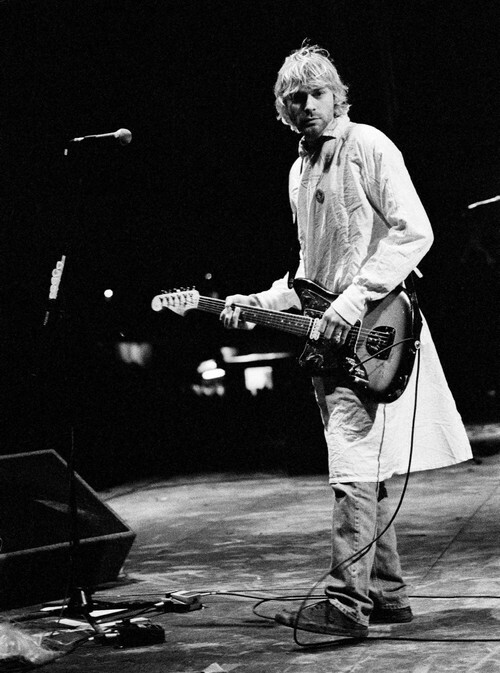 Cobain even used this guitar for Nirvana’s infamous 1992 Reading Festival concert. 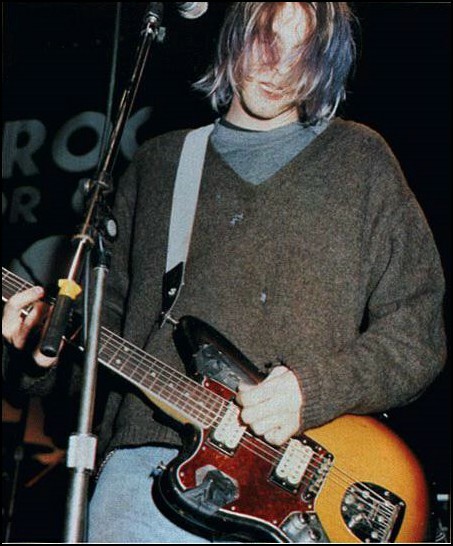 After Kurt’s death, Courtney Love gave away some of Kurt’s clothing, personal items and guitars to friends. Love gave Kurt’s Tom Peterson watch to Kat Bjelland of Babes In Toyland. Peter Buck from R.E.M. 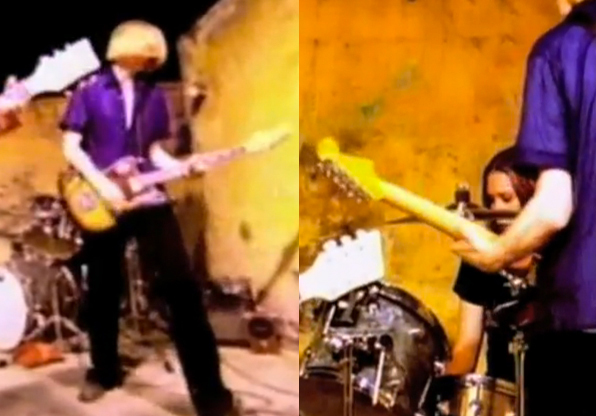 was given Kurt’s Fender Jag-Stang guitar and Love’s friend Dave Navarro was given Kurt’s Musicmaster guitar. He never polished the thing! It was disgusting. [In the] “Lithium” video it hits the stage hard. In Rio it gets soaked in cantaloupe juice and seeds, then dropped onto the camera rails when Kurt is spitting on the camera”. 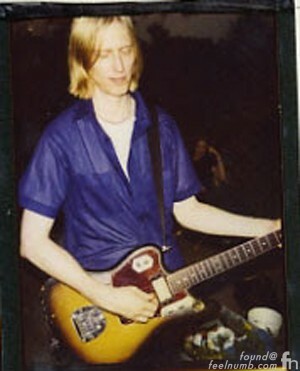 The whereabouts of the guitar now is unknown but it is assumed that it is still in the possession of Erlandson.